As a little girl, Trudy Herman is taught to stand up for truth by her much-loved grandfather. Then in 1943, Trudy’s childhood drastically changes when her family is sent to a German-American Internment Camp in Texas. On the journey to the camp, Trudy meets Ruth, who tells her and her friend Eddie the legend of the Paladins—knights of Emperor Charlemagne who used magic gifted to them by the heavens to stand up for virtue and truth. Ruth insists both Trudy and Eddie will become modern-day Paladins—defenders of truth and justice—but Trudy’s experiences inside the camp soon convince her that she doesn’t have what it takes to be a knight. After two years, her family is released from the camp and they move to Mississippi. Here, Trudy struggles to deal with injustice when she comes face to face with the ingrained bigotries of the local white residents and the abject poverty of the black citizens of Willow Bay. Then their black housekeeper—a woman Trudy has come to care for—finds herself in crisis, and Trudy faces a choice: look the other way, or become the person her grandfather and Ruth believed she could be? 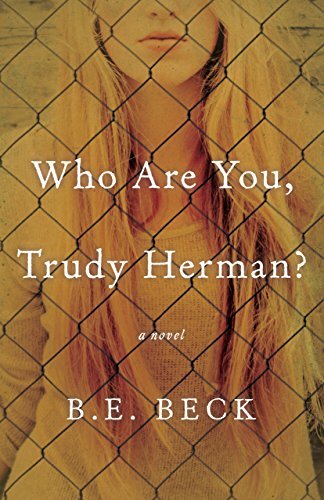 This is a great coming of age story, where Trudy has to find out who she is and what she stands for. I loved the setting of the book. This is a great YA read. B. E. Beck is an educator and writer. She taught at the University of Minnesota, Duluth, before moving to the Seattle College District. She is a member of Pacific Northwest Writers Association and is active in two writers’ groups. She and her husband live in the Seattle area. 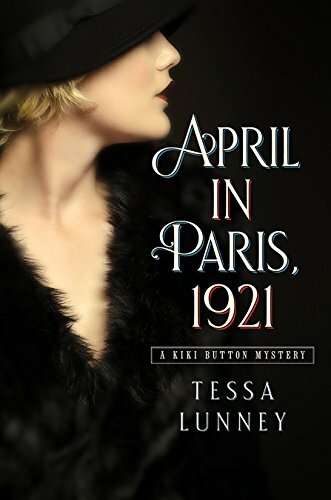 Kiki Button—war veteran, party girl, detective, and spy—finds that she can’t outrun her past exploits, even in the glittering world of Jazz Age Paris. Paris in 1921 is the city of freedom, where hatless and footloose Kiki Button can drink champagne and dance until dawn. She works as a gossip columnist, partying with the rich and famous, the bohemian and strange, using every moment to create a new woman from the ashes of her war-worn self. While on the modelling dais, Picasso gives her a job: to find his wife’s portrait, which has gone mysteriously missing. That same night, her spymaster from the war contacts her—she has to find a double agent or face jail. Through parties, whisky, and seductive informants, Kiki uses her knowledge of Paris from the Great War to connect the clues. Set over the course of one springtime week, April in Paris, 1921 is a mystery that combines artistic gossip with interwar political history through witty banter, steamy scenes, and fast action. The Roaring Twenties? In Paris? With mystery? and PICASSO?! I’m so there. This was an incredible read and so unique! I mean, seriously, who would have thought of a story like this?! Get this book. Tessa Lunney is an emerging talent on the Australian literary scene who has recently won a number of our major short fiction awards. She has had her fiction, poetry, and reviews published in Southerly, Mascara, and Contrapasso, among others, as well as Best Australian Poems 2014. She lives in Sydney, Australia. When six-year-old Megge first touches the ancient Book of Seasons, a mysterious voice accuses her of an ugly crime. Although the book is her legacy, she refuses to touch it again. If she does, she is certain she will be the death of those she loves. But seven years later, events conspire to force her to once again to accept her responsibility. If she refuses to take up the task, who will ensure the Book’s ancient wisdom survives, safe from the hands of those who would use it for evil? This was a very engaging read. 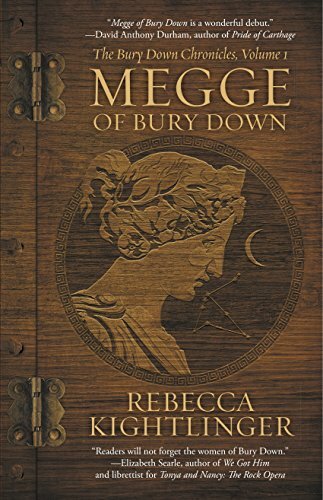 I enjoyed Megge’s perspective throughout the whole book. If you like historical coming of age stories, then you will like this. Pleasantly, there are more to come in this series. Rebecca Kightlinger earned her MFA at the University of Southern Maine’s Stonecoast MFA program. A member of the National Book Critics Circle, she reviews novels for the Historical Novels Review, reads fiction submissions for New England Review and Stonecoast Review, and copy edits pieces accepted for publication in Stonecoast Review. In her twenty years of medical practice as an Obstetrician Gynecologist, Rebecca had the privilege of caring for the women of Pennsylvania, Virginia, and Guyana. She and her husband live in northwestern Pennsylvania with their pets: three comical dogs, three elegant cats, and a delightful little rooster named Ollie. Not the best read ever. That’s probably why its at a $2.99 Pre-order price. I’d skip it. I actually fell in love with short stories by reading Ron Rash, so this book was very addictive to me. I love the way the short stories give you just enough to feel satisfied. A great and very quick read. Noah Milligan began his community banking career in 2008 in the midst of the subprime mortgage crisis. The resulting Great Recession reshaped his professional and personal life and inspired this collection. 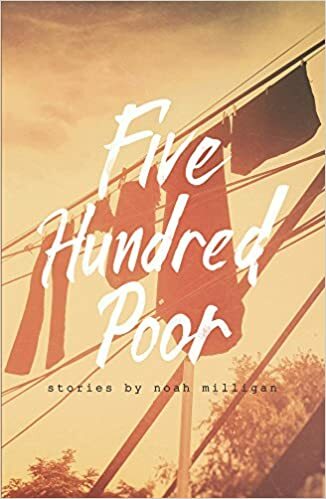 Noah Milligan’s debut novel, An Elegant Theory, was shortlisted for the Horatio Nelson Fiction Prize and a finalist for Foreword Review’s 2016 Book of the year. I remember where I was, when I found out that Robin Williams had died. I even cried a little, the only celebrities death I’ve ever cried over, aside from Johnny Cash. 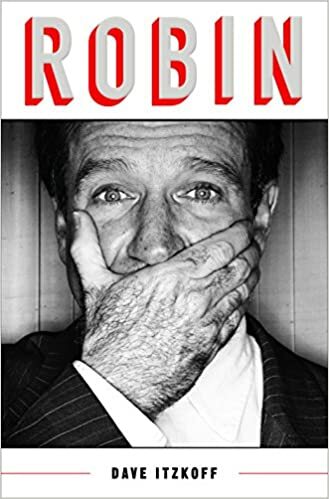 So of course, in order to understand Mr. Williams a little further, I asked to review this book. I’m so glad I did! It’s a great look into his life, both the good and the bad. I was given this book in exchange for my honest review. All opinions stated above are my own. Susan lives in a suburb near Toronto, Ontario, Canada, where she works part-time as a church secretary. She is a wife and the mother of two amazing kids, and is a member of American Christian Fiction Writers (ACFW) and Romance Writers of America (RWA). In addition to writing, she likes to scrapbook and to research her family history on-line. You can connect with her on Facebook or on her website http://www.susanannemason.net. Well, pretty much anything that reminds me of Downton Abbey, I’m like, yaaaaas! This has a very familiar ring to it (Matthew Crawley, anyone?) and I gobbled this book up in no time! I was expecting this book to be cheesy (I don’t know why, I guess that’s just me), so I was pleasantly surprised when it was not! 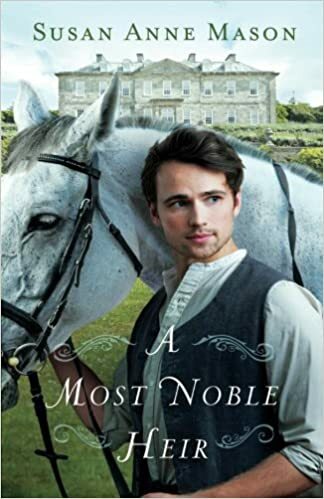 I loved Nolan’s journey from stable hand to Earl, and his relationship (or strained relationship) with Hannah. This is such a fun and easy book to read, I highly reccomend it if you are/were a Downton fan! You can get your copy on Amazon here. I was given this book in exchange for my honest review from Bethany House. All opinions stated above are my own. 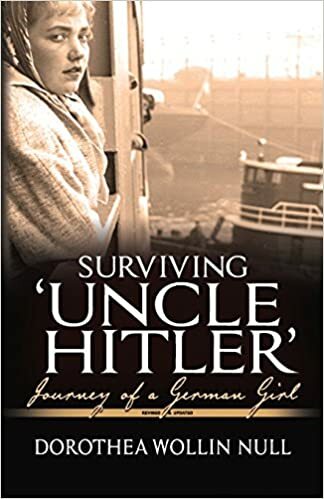 A true story of a little girl’s quest for meaning in a dark world that led to faith in Christ, and to a freedom greater than that of country or politics. How powerful a person’s testimony can be. Really, there is no human force on earth quite as persuasive. Dorothea’s story is no exception. Stories like hers need to be told, before they are forgotten. And that is how I can summarize this book: unforgettable. I especially love when books like this include family photos. If you are interested in WWII from a unique Christian German perspective, then this is a great read for you. I was given this book in exchange for my honest review from BookCrash. All opinions stated above are my own. 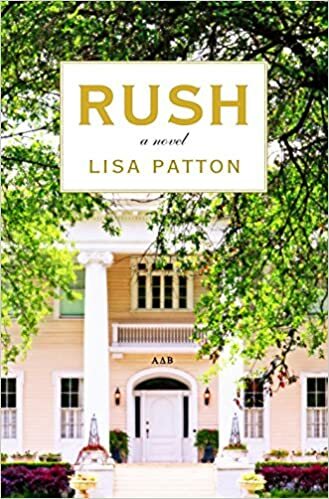 Set in modern day Oxford, Mississippi, on the Ole Miss campus, bestselling author Lisa Patton’s RUSH is a story about women―from both ends of the social ladder―discovering their voices and their empowerment. When Lilith Whitmore, the well-heeled House Corp President of Alpha Delta Beta, one of the premiere sororities on campus, appoints recent empty-nester Wilda to the Rush Advisory Board, Wilda can hardly believe her luck. What’s more, Lilith suggests their daughters, both incoming freshman, room together. What Wilda doesn’t know is that it’s all part of Lilith’s plan to ensure her own daughter receives an Alpha Delt bid―no matter what. For twenty-five years, Miss Pearl―as her “babies” like to call her―has been housekeeper and a second mother to the Alpha Delt girls, even though it reminds her of a painful part of her past she’ll never forget. When an opportunity for promotion arises, it seems a natural fit. But Lilith Whitmore slams her Prada heel down fast, crushing Miss Pearl’s hopes of a better future. When Wilda and the girls find out, they devise a plan destined to change Alpha Delta Beta―and maybe the entire Greek system―forever. Not generally something I would find interesting enough to read, but I’ll admit it had an element of charm that I liked. It was hilarious, which is probably what kept me going. I loved it. LISA PATTON is the bestselling author of Whistlin’ Dixie in a Nor’easter, Yankee Doodle Dixie, and Southern as a Second Language. Born and raised in Memphis, Lisa attended the University of Alabama, where she was in a sorority. The proud mother of two sons, she lives in Franklin, Tennessee, with her husband and a little Havanese pooch named Rosie. 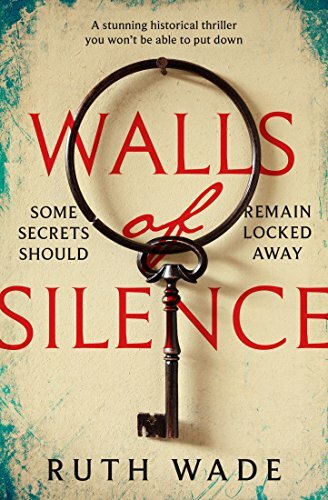 What is more intriguing than a historical psychological thriller?! Not much. This was a very addictive book, I’d recommend it if you like thrillers. 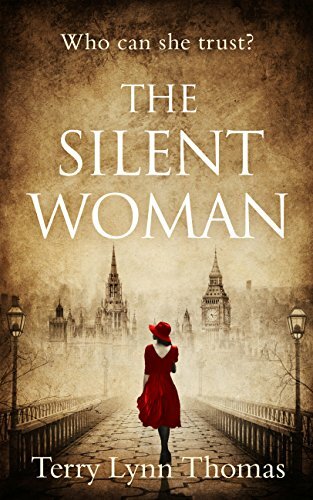 A part-time lecturer teaching creative writing at local colleges and academies, Ruth Wade spends the remainder of her working week researching and writing historical crime novels. Weekends can find her either learning to dance the Argentine Tango in Cambridge or deep in the woods of Hertfordshire shooting a longbow. She was once the proud owner of a ruin perched on a mountainside in Spain’s Sierra Nevada, toiling the summer months stopping the place from falling down and tending the adjacent vineyard. These days she confines her physical labour to re-pointing the flint walls of her country cottage. Ruth Wade also writes as BK Duncan. 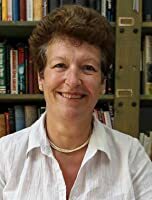 Under that name her historical crime novel Foul Trade (the first in a series featuring May Keaps, a 1920’s Coroner’s Officer) was a finalist in 2016’s The People’s Book Prize, and she was shortlisted for the Beryl Bainbridge First Time Author Award.